You might assume that HR Directors and Managers are the only people likely to shop for automated onboarding systems. While this kind of software is certainly a very attractive solution for leaders in Human Resources, there are professionals in many different corporate roles who come to us looking to solve business problems. Let’s explore some of the common challenges easily addressed with automation—and who’s interested in automated onboarding done right. For businesses that are constantly hiring, there’s no question that paper-based systems have a negative impact on cost and efficiency. Retail and restaurant clients often fit this profile, but staffing companies take the prize for hiring new people practically every day. 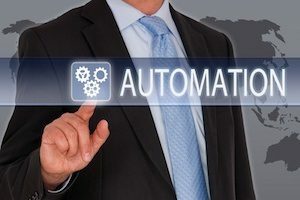 While a staffing company CEO might have a specific reason in mind for upgrading to an automated onboarding system, additional benefits typically come to light after implementation. Marketing might seem to have very little to do with onboarding. But for payroll companies, it makes a lot of sense to have the head of marketing involved in choosing an onboarding software application. The right product can add tremendous value to the overall service they provide to clients. For example, we work with many payroll services firms that roll our application into the package they offer to employers. It’s a value add that costs them very little while helping attract new clients and providing expanded services to their existing customer base. These days, COOs often work with HR to improve business processes and identify areas to save money on overhead. While Human Resources is very familiar with the frustration new hires face with a paper-based system and the hassle caused by errors and omissions, the Chief Operating Officer is taking a high-level view of wasted labor hours and the cost of antiquated systems. Having both perspectives means COOs and HR managers must find a solution that satisfies everyone. And when a COO oversees implementation, the software vender must get the job right – because accountability is non-negotiable. The teamwork aspect is almost as important as the software itself in this situation. For a large company with a complex suite of existing applications, the chances of running into issues increases. But a good onboarding software implementation team takes that in stride. At Efficient Hire, our goal is to deliver complete satisfaction to every customer—wherever they fall within their organization’s structure. Contact our team today to talk with an expert for your implementation.